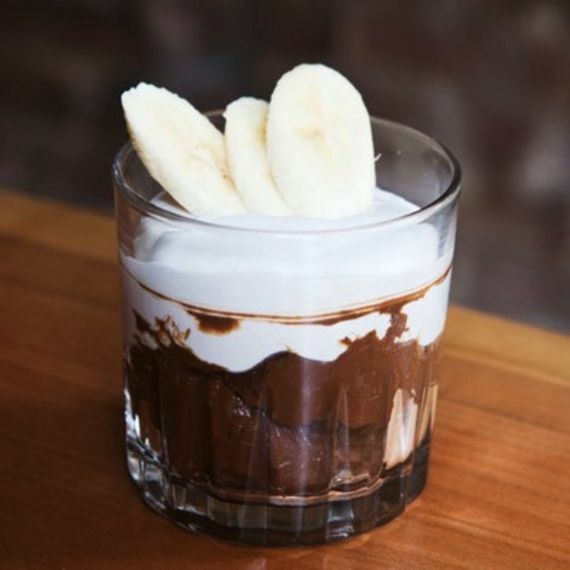 Make this superfood mousse whenever you need a healthy chocolate fix! I've had all sorts of "healthy" chocolate mousse, and they're not all created equal. Coconut oil-based recipes are delicious, but have way too much saturated fat for my liking. Avocado-based recipes (while satisfyingly creamy) often tasted way too much of avocado and not enough of chocolate. But this recipe strikes a nice balance between health and flavor using cocoa powder, coffee, avocados, and maple syrup (but not too much!). After trying it out at a healthy restaurant in downtown NYC called Ellary's Greens, I was hooked. I immediately emailed them for the recipe, because bikini season. Make this superfood mousse whenever you need a healthy chocolate fix! 1. Blend avocados in a food processor with maple syrup, salt, and vanilla extract. 2. Once smooth, slowly add the coffee water. 3. Once smooth again, slowly add the cocoa powder. 4. Taste once well blended. Add maple syrup for sweetness and/or coffee water to deepen the richness. 5. Serve in a cup with coconut whipped cream (recipe follows) and fruit! 1. Refrigerate the can of coconut milk overnight. 3. Place all ingredients in a cold metal bowl and whisk slowly with a KitchenAid or hand-mixer until all of the ingredients are combined. 4. Increase the speed of the mixer every time the consistency changes until fluffy. 5. Refrigerate for at least 4 hours, then serve. You can top with fruit, such as bananas or strawberries, but the whipped cream is so delicious you don't have to. This would be perfect to make for a dinner party with mixed eaters, because it satisfies the healthy ones, the vegan ones, the raw ones, and the regular ones. Rare, but true.